Elegance, class, and distinction await you at this beautiful ranch in Tallyn's Reach. Nearly new w/ over $100k in owner upgrades upon prior purchase. Amazing features include 10' ceilings / 8' doors throughout, spacious master suite w/ coffered ceilings, ample windows, five piece bath w/huge walk-in closet. Beautiful flooring and upgrades, study, huge open concept floorplan. Gourmet kitchen w/ 5-burner gas stove, double oven, oversized refrigerator, built in micro and expansive island w/ seating for 6, formal dining, an addl breakfast area and family room w/ gas fireplace. Large laundry w/ built-in shelving. No detail is spared, from the custom window coverings to the light fixtures. Covered deck and patio, spacious three car tandem garage. The full basement has nine-foot ceilings - plans and bid available tol finish. HERS rated and Energy Star qual! 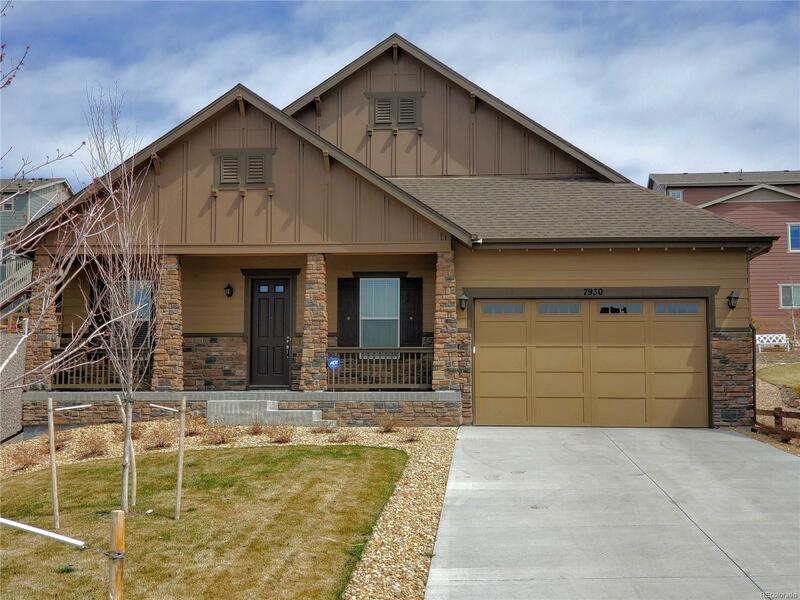 This home is surrounded by similar new construction thousands of dollars over our asking. This home is a true pleasure to show! Association Name Primary: Ponderosa Residential Homeowners Association, Inc.